I have two dishwashers. No. I’m not telling you that weird joke = two dishwashers because I have two kids – hahaha. I have two actual dish washing machines. What? You think that’s odd? I think what is odd is that you don’t. How could it not have occurred to you? Every girl needs two dishwashers. Dishwashers are a girl’s best friend. 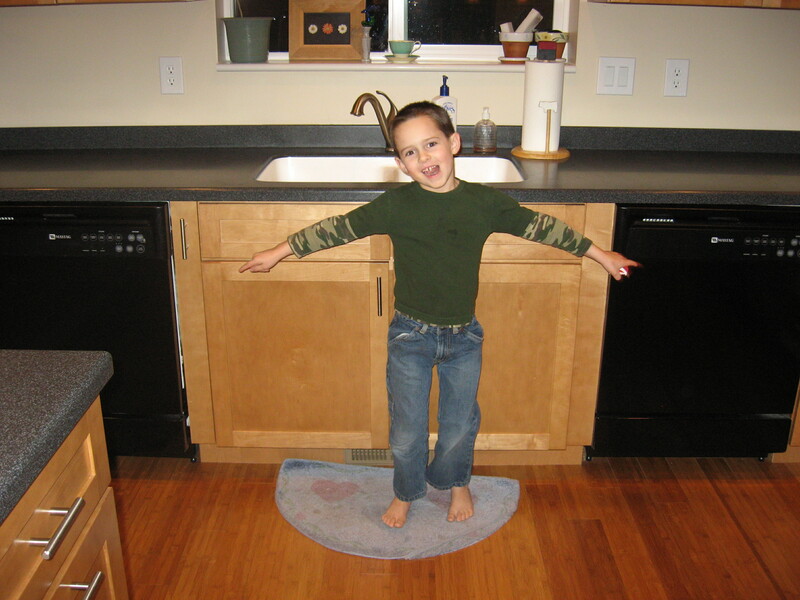 When they were first born – my beautiful dishwashers and their big brother. My two-year-old littlest guy loves the dishwashers even more than I do. If he had a vocabulary outside of “up” and “tapata,” (which means take a bath of course) he would say this about them: When the black boxes are closed, there are BUTTONS to push! Open, they have pretty, pointy KNIVES and a twisty thing I can wind on and off, on and off. There are two of them so mommy can’t keep me out of them both at the same time. I may like them more than I like mommy. All of that is completely beside the point. What this post is really about is loading dishes in the dishwasher. There is a right way – am I right? And it’s exactly the way you I do it. To simplify the conversation, let’s limit it to just the silverware. People. You’re doing it wrong. First, it must be loaded handle up, food dispenser down. Next, it must be categorized in to forks, spoons, etc. I have only just started doing them this way. I used to do it wrong – you know, before, when I allowed other priorities to make me lazy and I worried that the spoons would, well, spoon and so not get clean. But I was wrong. The spoons don’t spoon. And unloading is a total breeze now. So you should definitely start loading your silverware this way and you should set up a training course for all of the people in your home to teach them how to do it the right way too. Everyone will be happier. Kind of like how my hubs has a thing about the light switches – that each set in each bank of switches must all be up or down but never mixed. It makes me so happy when I get it right because it makes him happy. So what if we are falling down the stairs because we can’t see? As long as he’s happy. The silverware thing is the same. You should start doing it that way. Then make a rule everyone has to do it that way. Then get really, really mad every time someone does it wrong and stew on it for days. Get so mad that you tell everyone, “that’s it!” and claim silverware as a job only you can do. Maybe start a blog and share your new-found wisdom with the whole world and then you can go to other people’s houses and judge them when they get it wrong. Yep. That should totally make you happy. After all, being right is important and you are the expert. I mean, I am the expert.